Located about 10 miles south of Lake Placid, Algonquin Peak is the second highest point in New York State and one of only two peaks in the Adirondacks reaching over 5,000 feet. The trail to the top begins with a gentile hike from Heart Lake and quickly becomes quite steep and very rocky. The final ascent is above the tree line up the mountain’s alpine zone. 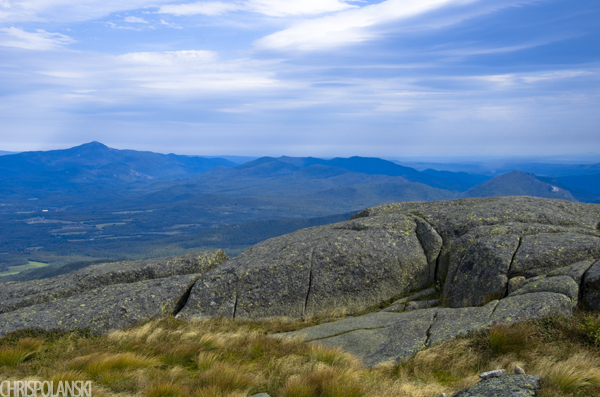 Standing at the top one is presented with unobstructed views in all directions including those of the Adirondack’s highest peak, Mount Marcy, as well as several of the other High Peaks. Taken in September 2013.